Enjoy a wide assortment of materials to work with that guarantee each terrarium is unique and special. Small treasures, like darling little shells and other beachy mementos will adorn your miniature garden— but save room to add something special of your own to personalize it! Go home feeling confident and equipped to care for (and keep alive!) your living succulent terrarium. A true living work of art! Keep for yourself or give as a Mother’s Day gift! We have been open for over 1 year, but we wanted to wait until everyone was back in town to have a chance to celebrate! We'd like to thank everyone who has supported us in our first year. We appreciate you SO much! To say thank you we are offering 10%* off the store on Saturday, April 13th from 10am-5pm and Sunday, April 14th from 12pm-5pm. *Excludes bird seed, beer, wine & already reduced merch! In this class students will explore different surface textures while creating a lovely pair of earrings to bring home! A variety of beads will be available to embellish your silver if desired. This is a beginner friendly class. Instructor Autumn Hampshire has been making and teaching jewelry for several years and enjoys sharing the process with others. *Must be 21 to consume alcohol. Some exclusions on 10% discount. Bell Farm Shops is hosting a holiday market with amazing local vendors. They will be bringing an expanded assortment, so you have more to choose from for your holiday gifts! We also have Women of Note here on Sunday, December 9th from 12:30pm-1:30pm singing carols! Join us for 20% off of the entire store*. Enjoy homemade holiday treats, hot apple cider & so much holiday decor! Route One Shopping Trail kick off on Small Business Saturday! Seven locally owned gift & home decor boutiques in Southern Maine have partnered with Seacoast Lately & @kellsanns to create the Route One Shopping Trail. It is a map that guides you from Kittery to Wells featuring these seven amazing shops! The maps will be released November 23rd, just in time for Black Friday/Small Business Saturday weekend!! You can pick up the maps at any of the participating locations. Bring it with you to each of the locations and receive a stamp. Once you have a stamp from all locations, enjoy 10% off one item from one of the participating stores! To really kick this off, we are also putting together 50 goodie bags filled with amazing surprises that you will also get if you visit all of the stores! Local businesses have been donating gift cards and samples that will be put into the bags at random. 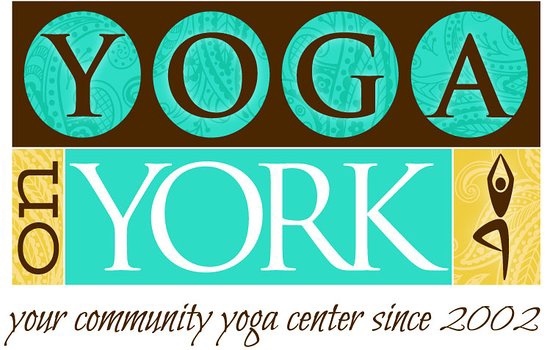 You could score gift cards from YOGA ON YORK, Lil's Cafe, The Central Bean & Bakery, Wicked Mini Donuts, Bell Farm Shops & more!! carry and will be here to explain their process, answer any questions or to just chat! Enjoy wine and light refreshments. We are celebrating summer with a fun picnic event at Bell Farm Shops! Browse the store all day from 9:00AM - 5:00PM. * We will have a FLASH sale this day ONLY. We will not be deciding which items will be included in the flash sale prior to the event. We want to have this event to celebrate summer and also as a way to help us make sure we can maintain this beautiful land for all to enjoy during business hours* (including the birds, of course!). So for this day the back grounds will only be accessible if you purchase one of the below packages. *We do allow the public to walk through and take pictures of our gardens during business hours, but we do ask that you are mindful of the house attached and the areas that are marked private for their privacy. Thank you! Starting at 12:00PM we will offer packages with food from Seacoast Brothers Butcher Shop. The hotdogs will be served with Flo's Relish! Packages start at $19.99. Visit https://bellfarmshopspicnic.eventbrite.com to view details on all of the packaged and what they include. Also, purchase your ticket here!